Super successful people are worth a good study. We’re always asking the question, “What makes one person more successful than another, even when these two people are providing the same service at comparable rates?” And while there are probably hundreds of possible reasons, we have noticed a few that tend to rise to the surface whenever we take a look at super successful business owners. The DNA of super successful people includes the “Big Dreamer” gene. These people are visionaries who are able to create a great master plan and able to break the plan down into pieces to accomplish the final goal. Since super successful people understand they can’t execute the “Big Dream” by themselves, they are excellent at building amazing teams of people who together can accomplish big hair audacious1 goals. Super successful people are those who spend the necessary amount of time making great plans. These plans are comprehensive, creative and carefully consider all aspects of a business, including the financials that project good profits. The main reason to make a plan is so you’ll have a map that gets you from point A to point B. While it’s often necessary to take a small detour on your way to success, it’s best that the detour leads you back to the original path. In other words, don’t get “squirreled”. 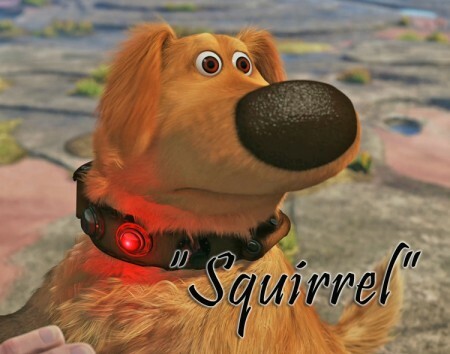 (a phrase coined from the Disney/Pixar movie “Up” where the Dug the dog has a cleared defined direction until he sees a squirrel – then he rapidly changes focus) Have faith in your original plan. Some people call it sweat equity, but others refer to the investment as just plain hard work with long hours. When super successful people create a plan and believe in it, you’ll find them putting in thousands of hours with focused intent. They are giving their business momentum, infusing energy and breathing life into their vision! And it’s not because they have to. It’s because they know that their investment in time results in success. Much like children super successful people don’t see what they do as taking risks because they have created a plan based on a vision which creates clear direction. These people are advocates for their own ideas and embrace every small success as another step to achieving higher levels of greatness. You’ll never find a super successful person allowing discouragement or stumbling blocks to stop them. They enjoy the challenge of overcoming whatever is in front of them! At Make It Happen, we work with clients who have “squirreled” off the path, those who are focused on the path before them and need help moving forward, and with start-ups businesses who have the vision and the plan in place, but are in need of marketing champions to support them in achieving their goals. It’s the Hard Way or the Easy Way!